Take advantage of our experience and place your trust in tradition! 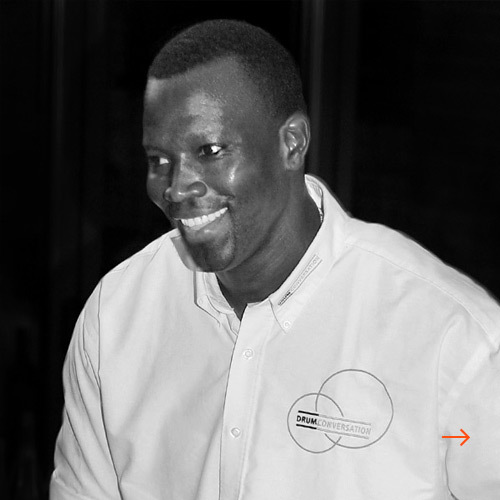 Drum Conversation was founded by Uwe Lennard Grohn and Ismael Seck in 2004 as a joint German-Senegalese operation. 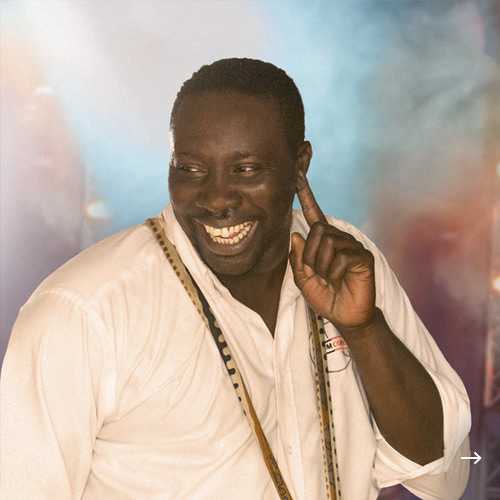 While Uwe Lennard Grohn is primarily responsible for the development of creative show concepts and all pre-event organisation, Ismael Seck is an authentic master drummer and energetic entertainer who knows how to excite people with his musical expertise and vivacious approach to things. His infectious laugh and talent for live entertainment are qualities that can only be experienced first hand. The idea quickly became a major success: Many professionally trained musicians have joined our team in recent years, performances in neighbouring countries followed and took us as far away as Qatar. 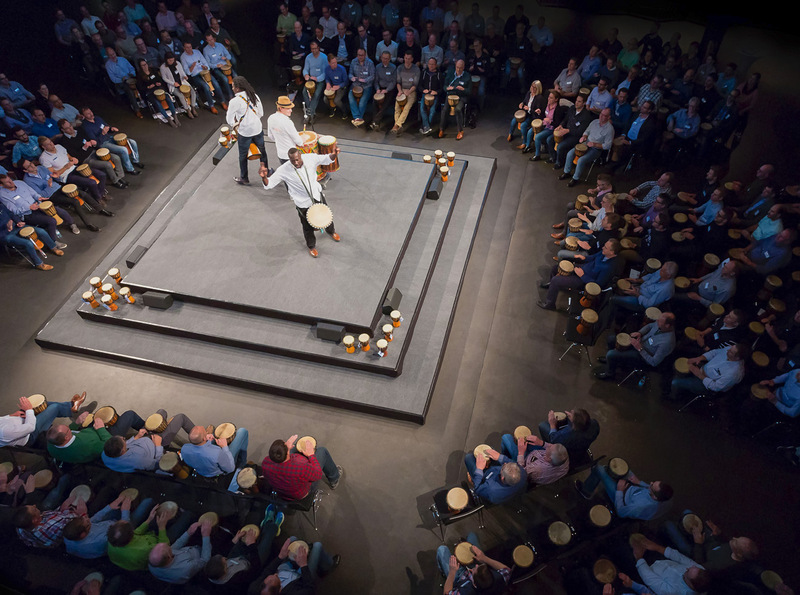 The Drum Conversation team is characterised by one thing in particular – the true joy and enthusiasm of our musicians and the high quality of our stage performances. We know how to excite and motivate people, because our joy and our motivation come from the heart. Our expertise is the result of years of experience. 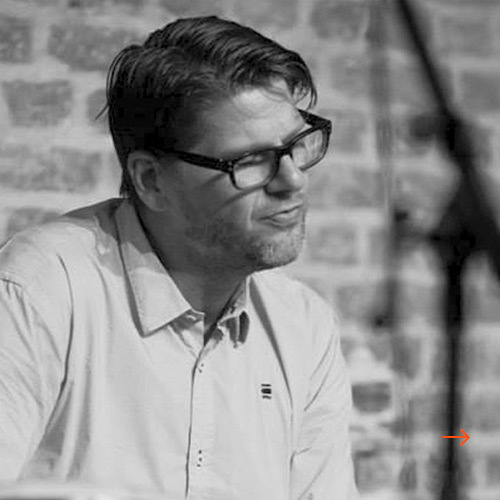 Uwe Lennard received his first drum set at the tender age of six. Having enjoyed early musical instruction, he continued to expand his rhythmic education over the next 20 years (incl. at Frankfurt’s College of Music, in Cuba and Brazil). 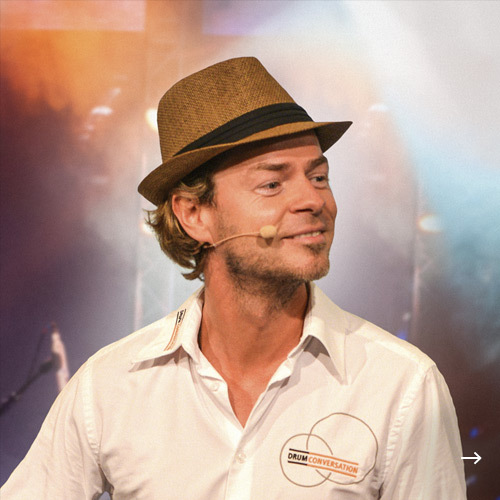 Over the years, Uwe Lennard has supported countless musicians while also regularly performing on German television himself. In 2005, he toured with SIMPLY RED as supporting act. 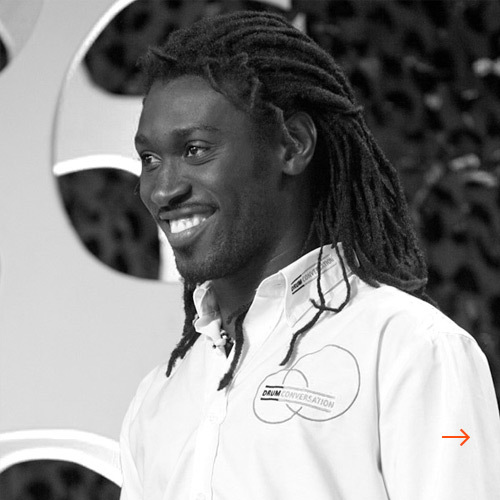 He is one of the two founders of DRUM CONVERSATION’s business idea and serves as the company’s managing director. 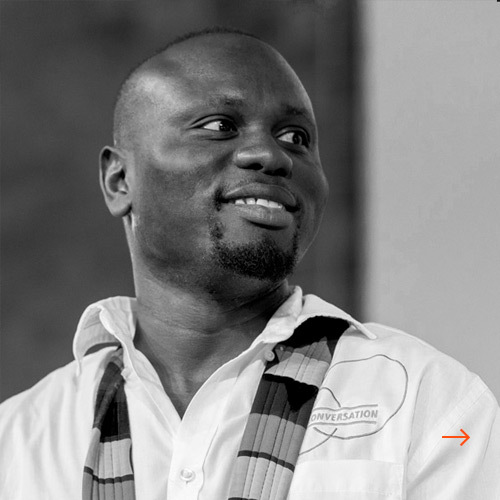 Ismael hails from a traditional West African family of “griots”, talented individuals who act as poets, praise singers and wandering musicians, passing on oral tradition in the name of royals and rulers. Known chiefly as “praise singers”, griots may also use their vocal expertise for gossip, satire, or political comment. Ismael has played his instrument of choice, the African Djembe drum, throughout all of Europe and as a member of many different band formations (incl. Peter Giger’s “Family of Percussion”). He has been in charge of drum workshops at some of Europe’s largest African festivals as well as for industry executives. As one of the two founding fathers of DRUM CONVERSATION’s business idea, he now serves as the company’s musical director. Florian began his musical education on the drums. At the end of the 1990s, he travelled to Cuba to take a course in musical studies. It was during this time that he learned to play the conga, bongo and timbale, later on returning to his hometown of Frankfurt. Today, he is the percussionist in a number of bands, including “Nachttierhaus”, “The OhOhOhs” and the “Schoyfler Projekt”, where he musically collaborates with the singer of the Frankfurt City Blues Band, amongst others. He is also very engaged in Frankfurt’s cultural life, being, among other things, co-founder of the legendary “Session at Club Voltaire”. Florian has also taken part in various sound productions, such as “Klangerfinder” – Theatermusik (schauspielfrankfurt, andcompany&co, wunschmaschinen). 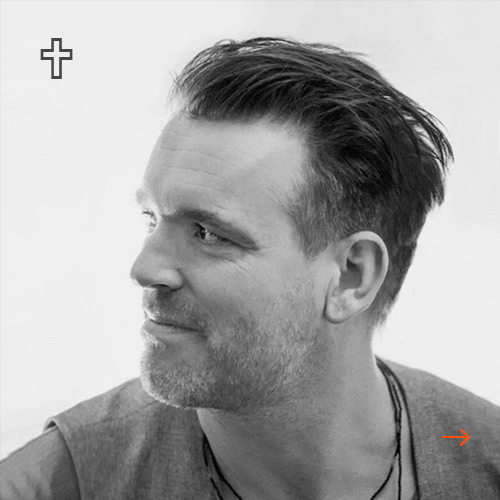 He has played concerts at a number of renowned local music venues, including the Mousonturm, Alte Oper, the Fusion Festival and the Goethe Institute. He has also been teaching music at various music schools since 2005. “Playing the drums inspires my soul,” says Baye. Those fortunate enough to have heard him play know exactly what he means. Born in Thiés, Senegal, Baye was brought up playing a wide variety of African instruments. His passion, however, is the djembe. It is no surprise that, as a highly respected master of his craft, he was the leader of one of Senegal’s most successful percussion ensembles before coming to Europe. 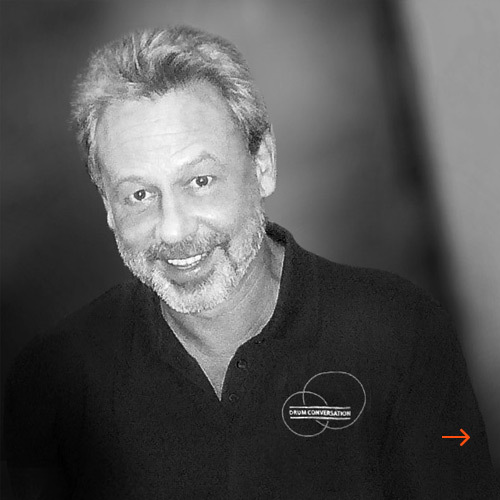 By working for many years as a drum workshop director, he has also been able to develop his teaching skills. Drum Conversation profits immensely from his skills, which he applies with a great deal of passion and joy. Fallou joined our team in 2008 and has been an absolute enrichment. He too is a »griot«, having enjoyed the tutelage of his musical mentor, Ismael Seck, in Senegal as a young boy. Normally a quiet individual, Fallou is a bundle of energy on stage, happily sharing his passion and enthusiasm with his audiences. His authentic musical expression and flawless performances with the Djembe drum have helped to turn him into a true percussion artist, a person who time and again goes out to prove how important it is to learn from one’s musical role models while developing one’s very own, individual style. Pape grew up playing a wide variety of traditional Senegalese drums, including the Djembe, Sabar, Tama, Bougarabou and Serouba, and is now a true virtuoso on all of these instruments. His collaboration with various international music groups, including “Music for Life” and Hamid Baroudi, hav­e taken him to places far beyond Europe’s borders, such as Algeria and Australia, for example. 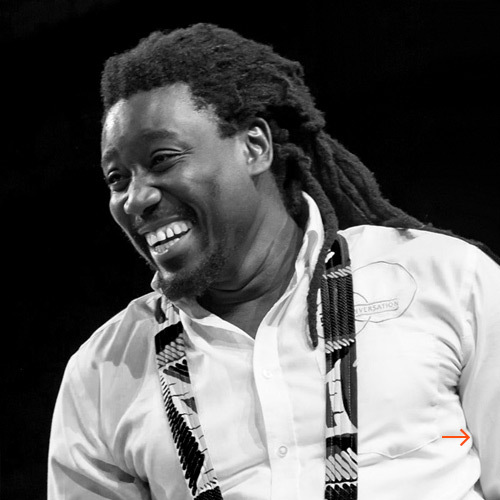 He is also director of the traditional Senegalese dance and percussion group, »Afrojant!«. Half-English and half-German, Ellen began her musical education in Hanover, where she initially studied rhythmics. She continued her studies in Munich at the Latin Percussion School and then at the College of Music in Mannheim. Granted a scholarship, she spent six months in Salvador de Bahia, learning to play the Bahian drums at the Universidade Federal da Bahia as well as on the streets of Bahia. Further trips took her to Cuba and Asia. Ellen has toured Germany with Robin Gibb from the BeeGees while also playing with Klaus Meine from the Scorpions and many others. 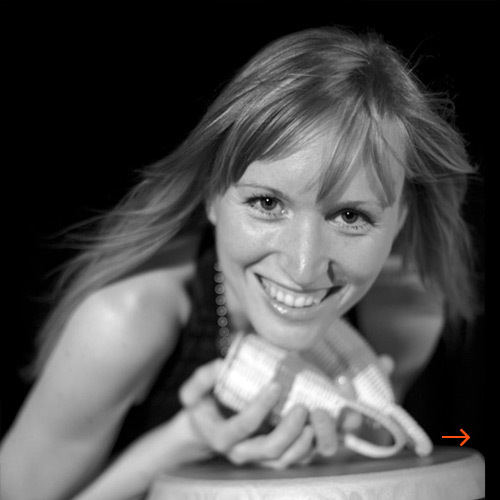 She has been a percussionist for the Kevin O'Day Ballet Company at Mannheim’s National Theatre since 2002, and has composed a variety of musical pieces for the stage. Ameth hails from a traditional West African family of »griots«. He grew up playing a wide variety of traditional Senegalese drums, including the Djembe, Sabar, and Bougarabou, and is now a true virtuoso on all of these instruments. His collaboration with various international music groups, including “Kom Kom” and Aliou Keita, hav­e taken him to places far beyond Europe’s borders. Thanks to his many years of stage experience as soloist and support musician, Ameth knows how to interact with his audience, conducting his drum workshops with great flair and a charming attitude. 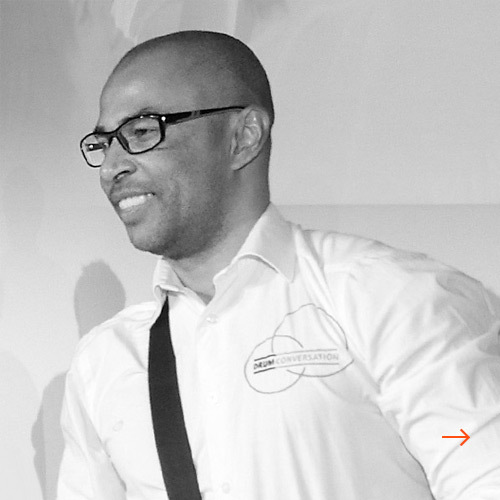 We mourn our beloved and esteemed friend and colleague Tilman, who left us as a result of an accident in August 2018. We will never forget you! 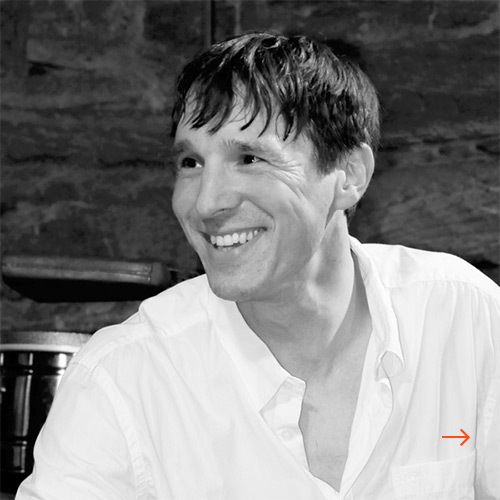 Raised in a family of classical-music enthusiasts, Tilman has dedicated his life to music. He studied jazz and popular music at Mannheim’s College of Music while also being granted a scholarship to study African-Cuban percussion at the Instituto Superior de Arte and Conjunto Folklorico Nacional in Havana, Cuba. He spent a year of travel following the roots of percussion music across the globe, living and working as a drummer and percussionist in San Francisco, St. Petersburg and Havana. In the 1990s, he achieved great successes as a percussionist and composer and was featured on various pop charts, MTV and Bravo Hits. Mark brings Caribbean flair to our team! As a child growing up in Puerto Rico, he naturally became familiar with salsa music and the corresponding percussion instruments, which have characterised his musical style. Mark studied at the College of Music in Havana and at the “Conjunto folclorico” in Santiago de Cuba. 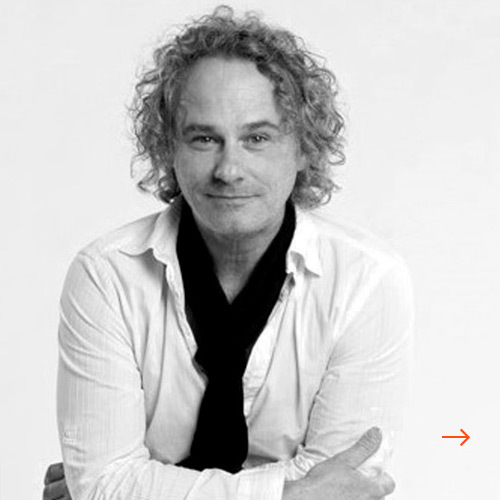 Aside from his work as both a live and studio musician (having worked, amongst others, with the “Weather Girls” and Daniel Wirtz), he also teaches music, directing rehearsals at the Hessian State Institute of Educational Science, for the Tyrolean regional government and the Work Group for School Music. In 2008, he published a textbook entitled “Ritmos de Santiago de Cuba” together with the Cuban percussionist, Juan Bauste. Xedi was born in Salvador de Bahia, Brazil. He is a member of the world’s largest and most famous samba group, OLODUM, which, among other things, collaborated with Paul Simon in 1992 and Michael Jackson in 1997. His humour and his energy have made him a popular favourite within the Drum Conversation team, and elsewhere. Having completed his musical studies at the Frankfurt Music Workshop under the direction of Cid de Freitas, Heiko now works as percussionist and drummer in a variety of projects and musical styles, ranging from traditional oriental and Latin-American music to jazz a­s well as improvised and electronic music. He has performed live and in studio with renowned artists, including Brian Eno, Slop Shop, Gabriel Le Mar, Barry Finnerty and the international formation, »Re-Jazz«. Uli started his musical career at the tender age of three, banging away on pots and pans (probably driving his mother mad). In early years, prior to his confirmation, a young and open-minded pastor introduced him to gospel music, which he started playing with great enthusiasm. Musical education at various music schools followed; at the end, however, Uli decided to take a different professional path. 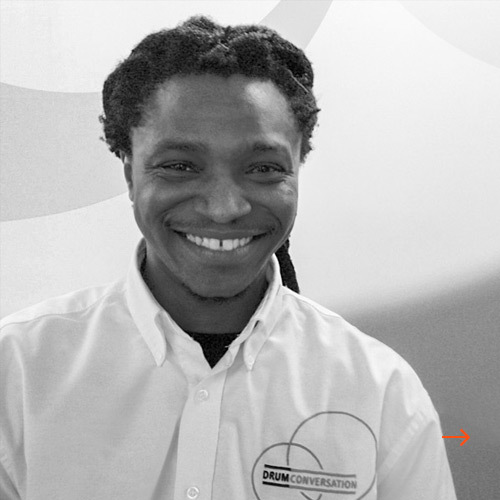 Today, the DRUM CONVERSATION team profits from his many years of experience in the areas of organisation and logistics as well as his expertise in bass drums and stage performances in general. There’s much more to Ousmane than simply his good looks. He applies the knowledge of his musical background to every instrument he plays, although he specialises in bass drums. Born in Senegal, Ousmane grew up playing the full range of his home country’s percussion instruments and now looks back on a colourful life inspired by music. He has in the meantime founded his own club, which concentrates in particular on introducing the world to the richness and beauty of African art and music.